Garmin Virb XE vs GoPro Hero 5: Who Will Win? In this article, I take a look at the comparison between two of the better performing action cameras in the market – the Garmin Virb XE vs the GoPro Hero 5 Session. It’s not difficult to see why these two cameras are tipped against each other instead of with some other camera. Both these models were launched around the same time last year and offer similar specifications, differing in but only a few areas. 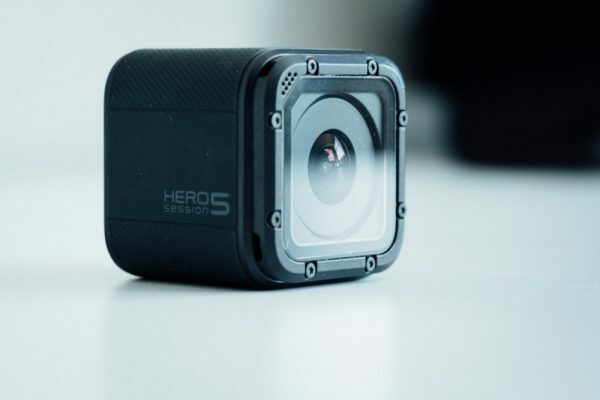 GoPro’s Hero series has been a major game changer in the company’s popularity over the years, and it’s not surprising to note the kind of rave reviews the Hero 5 Session has received because of its powerful specifications as an entry-level camera. On the other hand, Garmin has successfully built its own set of followers over the years and decided to take on GoPro only recently. The Virb XE (the E stands for Elite) is an improvement over the entry-level Virb X, and although most of the features are similar, the XE ends up boasting a higher resolution and frame rate. Let us delve into the nuances of the two cameras and compare the feature sets of both so that it’s easier for you to decide which one you should be buying next. The Garmin Virb XE flaunts the very popular box style of the GoPro, but at 1.4 x 3 x 1.6 inches, it’s slightly bigger than the GoPro Hero 5. The monochrome LCD panel is a new addition, and is complimented by three buttons and a lever. The two small push buttons are for menu and for powering the camera on and off. However, these buttons also double up as navigation buttons when the menus are active. The other button is a traditional camera shutter button, around which there is a switch lever to start and stop recording. The design is such that you can easily control your camera even while wearing gloves. As for the GoPro Hero 5 Session, the design is smaller, more cubical than rectangular and weighing no more than 74 grams. The monochrome display is on top along with the Record button. There is a separate button for switching shooting modes at the back. The Hero 5 Session is waterproof up to a depth of 10 meters; so you do not need to use a waterproof case if you are simply going to the pool. 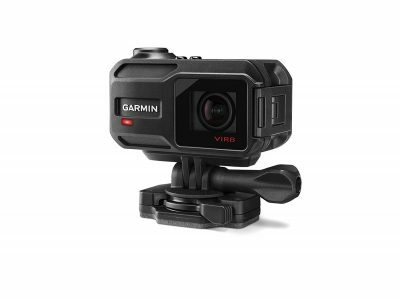 The Garmin Virb XE is also waterproof up to a depth of 50 meters, but uses a unique technique to achieve that. It has a lever catch on the side of the body, which when released, flips open a door to reveal the battery compartment, lens and memory card slot. This catch is secure enough to not get released accidentally, thereby rendering the camera waterproof. The 980 mAH Lithium polymer battery on the Virb XE isn’t much of a disappointment when you take the price of the camera into consideration. It is removable, unlike the Hero 5 Session battery, which definitely comes as a relief. On the flip side, you need to carry the unique charging cable provided by Garmin in order to charge the camera. The standard USB cable, unfortunately, won’t work. While ensuring that the Hero 5 Session’s non-removable 1000 mAh battery leaves you with no option of carrying spare ones during travel, GoPro claims that you can get a full charge via the USB Type-C cable in just over an hour. You can also check my tips on how to extend your GoPro battery Life. One of the major areas where the Hero 5 Session stands out among its competitors is the 4K video recording capability. While the Garmin Virb XE tops out at 1440p at 30 fps and 1080p at 60 fps, the GoPro model can record 4K at 30 fps and 2.7K at 48 fps, besides capturing videos at 60 fps for 1440p, 90 fps for 1080p and 120 fps for 720p. Moreover, the Electronic Image Stabilisation (EIS) ensures you don’t have much trouble with camera shakes. There should be no qualms about the footage quality if you are using the Virb XE. The colors are vibrant, well-saturated, and the details are clear-cut. Low light experience is fairly disappointing though, with a lot of noise creeping up especially at dusk. The camera offers 12.4 megapixels which is slightly higher than the 10 MP offered by the Hero 5 Session. The good thing is that you can manually set the ISO and white balance in Pro mode. The Virb XE also features image stabilization, and further uses gyro-detection to enhance its capability. The Hero 5 Session performs better in low light conditions than the Virb XE, but it’s still poorer than its Black counterpart. In addition to clicking 10 MP stills, you can now have 30 photos per second in burst mode. Colors are as vibrant as the Virb XE, but many users including myself have found the images to be lacking in finer details. The sound quality is far better in the Hero 5 Session than in the Virb XE since the former has 3 microphones in contrast to 1 in the latter. It must be remembered that more microphones also help to filter out the background noise while capturing video footage. The GPS feature offered by Garmin is a particularly useful one when you lose your camera or need to locate it. In fact, when the original Virb was released, it was the only company in the action camera market to offer this feature to customers. 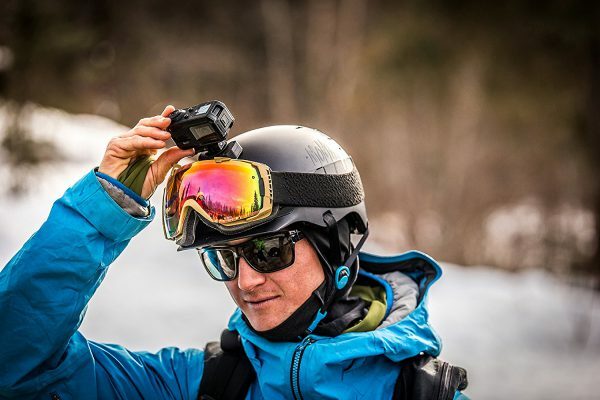 The Virb Edit software makes it easy to pair the camera and stamp the information captured in the camera on the video footage. The software is available for desktop users, and the corresponding smartphone app, albeit functional, is noticeably slower and suffers from lag. This is where GoPro ups its game. Not only does the Hero 5 Session work perfectly via both Bluetooth and Wi-Fi, it also enables you to remotely control the camera in a hassle-free manner by pairing the camera with your Android or iOS GoPro Capture app. This app is far more reliable and user friendly when compared to the one offered by Garmin. In contrast to the lag in the live stream in the Virb, the delay from the live view in the GoPro app is so small that you may not even notice it. Further, it lets you quickly edit your captures through the Quik app. The desktop software is pretty basic, but does everything you would want it to do without any difficulty. The Hero 5 Session also responds to voice commands, unlike the Virb XE. So if you need to go hands-free and access your camera without pushing any button, you’ll be hoping that you own a GoPro instead of a Garmin model. If there’s one area where Garmin has been quite generous, it is this. The mounting bundle that comes with the camera is immensely lucrative – adhesive mounts for flat and curved surfaces along with short and long linkages, harnesses, and an array of extra mounting accessories. In contrary, you won’t find a lot of accessories in the Hero 5 Session’s box. There is the standard low-profile mount as well as flat and curved adhesive mounts. The box also includes a mounting frame for a standard GoPro mounting point and a ball-head mount that lets you adjust the camera angle easily and rotate it as per your requirements. You won’t get a waterproof case with the Hero 5 Session. And that is understandable because the camera is waterproof in itself unless you are going deeper than 10 meters. There are no spare batteries coming with the set of course, since there is no option of removing the one that is already built-in. The Garmin Virb XE costs around 370$ while the GoPro Hero 5 Session is at 299$ on Amazon. You can clearly see the price difference between the two cameras which I didn’t really understand. In my opinion, the Virb XE is a bit overpriced for what it offers. While the Hero5 Session has better features especially when it comes to shooting 4K videos. Some people might not need the 4K resolution but if I have the option to pay less and get more then it makes sense to pick the Hero 5 Session. But of course, that doesn’t make the Garmin a bad camera, on the contrary, I really liked the images vibrant colors, the waterproof capability, the GPS and the accessories. Looking at the specifications, it is quite clear that the Hero 5 Session fairs a lot better than the Garmin Virb XE. If you are planning to shoot in 4K resolution, it’s quite clear which camera you need to buy. But in case you are just an amateur photographer starting out, the Virb XE does look like an entry-level camera that will give you a taste of some elite level features. Not surprisingly, the Hero 5 Session digs deeper into your pocket than the Virb XE. It’s definitely a better buy if you have the bucks to spare, but the issue is not everyone has the bucks to spare for a GoPro. Make no mistake, the Hero 5 Session shoots at practically the top level resolution of the Hero 5 Black, and that is leagues ahead of the Virb XE. 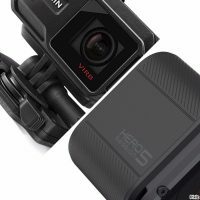 That, along with the triple microphones, double the screen size of the Virb XE, voice command feature, and USB Type-C connectivity make the Hero 5 Session stand out between the two. While the GoPro camera is a clear favorite, it is ultimately up to you to decide which one to go for. Every individual has his unique needs, and when it comes to technology, there’s nothing more important than sticking to the device that suits you the most. I really appreciate your review . I like the gps of the garmin but the weight might make me go for the gopro . I have read bad experiences with the gopro under water . What i don’t like about the gopro , there is no screen and I would need a phone to adjust it ?